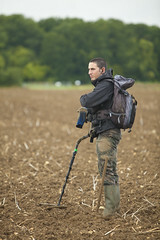 Today, as technology forges ahead and interest in this engaging pursuit reaches new heights, Joan Allen has invested heavily to maintain our position as one of the leading metal detector outlets in Europe. We continue to serve experienced detectorists and support the education of newcomers, in order to promote responsible detecting. Happy Hunting from all of us here at Joan Allen! Hello My Order date: 26/11/2013 Order#: 14545. I buy fisher 6×4 coil cover on yours shop. The adress is wrong. You dont have an email to send information. please I have to correct the adress. The site dont let me. how can I do it? hi sir can i ask a important question ? Please ask away! Or alternatively email sales@joanallen.co.uk. What is your question? How can we guide you? Can you contact us directly on +441959 571 255 or email us at sales@joanallen.co.uk to discuss your options?